What was old is now new again. As Mort Sahl once said, there's nothing wrong with the old evidence. So, Mr. Corsi has a book out on the JFK assassination and has discovered that Mr. Brennan was not looking at the TSBD as the shots were fired but was looking at the motorcade. 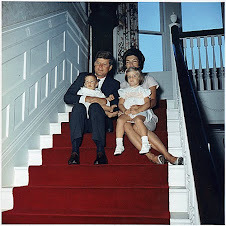 This is getting some media play because we have an enhanced image from the Zapruder film. Imagine if this was on TV in 1964. “Remarkably, the Warren Commission relied upon Brennan even after Brennan at a police lineup failed to make a positive ID of Oswald as the shooter,” Corsi says. The witness was Howard L. Brennan, a 45-year-old steamfitter who watched the motorcade from the retaining wall at the southwest corner of Elm and Houston, across the street from the Texas School Book Depository Building. Brennan claimed to have had a clear view of the assassin in the sixth-floor corner window of the depository building, directly above his vantage point. 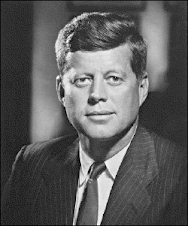 He was the only witness to claim to the Warren Commission he saw Oswald fire a rifle at the JFK motorcade. Secret details of JFK’s assassination are finally unlocked. Get your autographed copy of “Who Really Killed Kennedy?” by Jerome Corsi now! “Who Really Killed Kennedy,” released this month as the 50th anniversary of the assassination approaches, is bolstered by recently declassified documents that shed new light on the greatest “who-done-it” mystery of the 20th century. 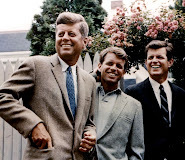 Corsi sorted through tens of thousands of documents, all 26 volumes of the Warren Commission’s report, hundreds of books, several films and countless photographs. Well, as it appeared to me, he was standing up and resting against the left window sill, with gun shouldered to his right shoulder, holding the gun with his left hand and taking positive aim and fired his last shot. As I calculate, a couple of seconds. He drew the gun back from the window as though he was drawing it back to his side and maybe paused for another second as though to assure himself that he hit his mark, and then he disappeared. 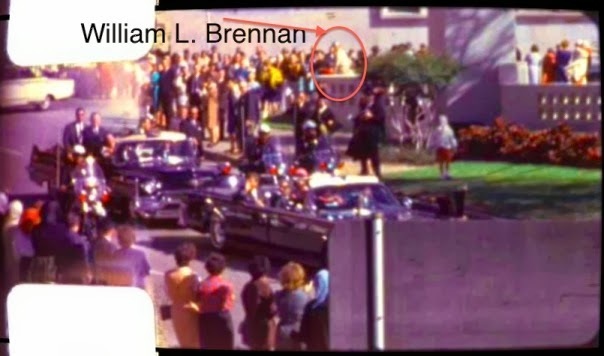 The Warren Commission published a photograph as Commission Exhibit 479, which appears to be frame 188 of the Zapruder film, showing that Brennan observed the motorcade from the concrete wall at the southwest corner of Houston and Elm as he claimed. The problem, says Corsi, is that the image clearly shows that as the last shot was being fired, Brennan was watching the motorcade, not looking up at the shooter. In the image, Brennan is twisted around to his left, supporting his body by bracing his left hand, palm down, on the top of the concrete wall. He appears to be watching JFK as the limousine disappears behind the Stemmons Freeway sign. Examining the Zapruder film frame by frame, Brennan can be seen in frame 133, the first frame in which the JFK limo appears after it has turned onto Elm from Houston, through frame 208, when the limo is heading down Elm and JFK’s head is all that can be seen above the Stemmons Freeway sign. In the entire sequence, Corsi notes, never once does Brennan turn his body around to face the Texas School Book Depository squarely. Never once does he look at the sixth-floor window. Yet, Brennan claims to have seen the shooter shoulder the gun, take aim, fire, draw the gun back, move the gun to his side and pause to make sure he hit his mark. 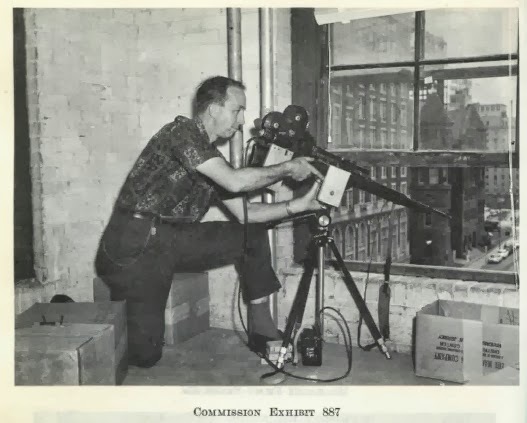 The commission stated Brennan “was in an excellent position to observe anyone in the window,” because he was sitting on a concrete wall on the southwest corner of Elm and Houston Streets, “looking north at the Depository Building which was directly in front of him,” such that the sixth floor window was approximately 120 feet away. Mr. Belin: All right. Did you see anyone in the lineup you recognized? Mr. Belin: And what did you say? Mr. Brennan: I told Mr. Sorrels [Secret Service] and Captain Fritz [Dallas Police Department] at that time that Oswald – or the man in the lineup that I identified –looked more like a closest resemblance to the man in the window than anyone in the lineup. Mr. Belin: Were the other people in the lineup, do you remember – were they all white, or were there some Negroes in there, or what? Mr. Brennan: I do not remember. Mr. Belin: As I understand your testimony, then, you said that you told him that this particular person looked the most like the man you saw on the sixth floor of the building there. Mr. Belin: In the meantime, had you seen any pictures of Lee Harvey Oswald on television or in the newspapers? Mr. Brennan: Yes, on television. Mr. Belin: About when was that, do you believe? Mr. Brennan: I believe I reached home quarter to three or something of that, 15 minutes either way, and I saw his picture twice on television before I went down to the police station for the lineup. Mr. Belin: Now, is there anything else you told the officers at the time of the lineup? Mr. Brennan: Well, I told them I could not make a positive identification. Yet, only a few questions later, says Corsi, Brennan insisted he could “with all sincerity” identify Oswald as the man he saw on the sixth floor window, even though he admitted that seeing Oswald on television might have affected his identification. Brennan later said he hesitated to give a positive description of Oswald at the lineup because it might place him and his family in personal danger. But he did not specify who might do what to him or to his family. 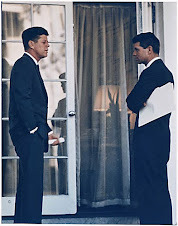 “After Oswald was killed, I was relieved quite a bit that as far as pressure on myself of somebody not wanting me to positively identify anybody, there was no longer that immediate danger,” he explained to counsel Belin in the questioning before the Warren Commission. Documentary evidence supports Brennan’s claim he did not make a positive identification of Oswald in a lineup. Commission Exhibit 2003, the Dallas Police Department report on their investigation into the JFK assassination, lists the names of all witnesses who positively identified Oswald in a DPD lineup, and Brennan’s name is not included on the list. If Brennan told Dallas police that Oswald resembled the man he saw in the sixth-floor window, he did so unofficially, off the record. Historian Gerald McKnight described Brennan as a “self-promoting bystander” driven by a need to be associated with a great tragedy, who pretends knowledge after the fact of events for which he has no information. Brennan further testified that he saw the shooter take his last shot from a standing position and that he could see the shooter from the belt up. What Brennan did not appreciate was that the bottoms of the windows in the Texas School Book Depository are close to the floor. Commission Exhibit 887 shows a re-enactment shooter kneeling down at the sixth-floor window. 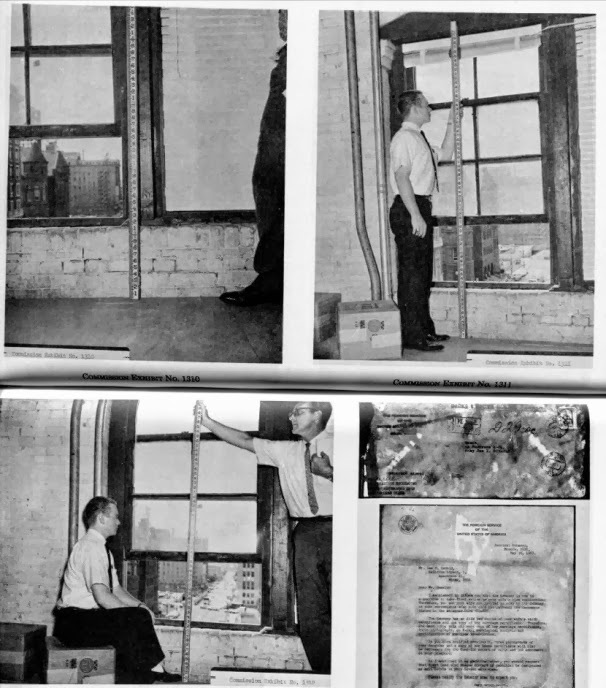 The photo, along with Commission Exhibits 1310, 1311 and 1312 showing a man with a ruler standing and sitting by the sixth floor window, make it clear that the bottom windowsill is only about one foot above the floor. The corner window in the so-called “sniper’s nest” was opened only another foot and a half. Furthermore, the obviously opaque windows would have made it difficult, if not impossible, to identify a standing man with any clarity from his belt up. The shape of a man might have been visible, but the windows would have obscured any details.